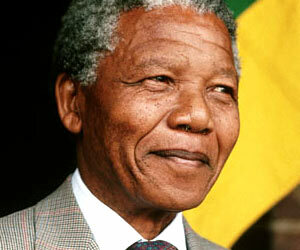 How Should Historians Consider Nelson Mandela? The sad news of the death of Nelson Mandela has led many commentators to reflect on how he will be remembered. His reputation is now, and has been for many years, almost uniquely positive. So it should be, and let’s hope it will remain that way. Let this not, however, be at the expense of historical complexity. Here are some points which historians should bear in mind when reflecting on Mandela’s career and on his evolution from freedom fighter to world statesman. careful to emphasise that it did not intend it for export), there were plenty of people, from Winston Churchill to Ronald Reagan, who were chary of interfering in another state’s internal affairs. 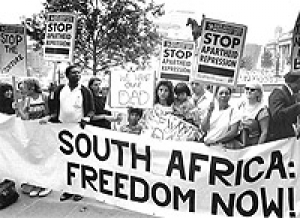 The Anti-Apartheid Movement (AAM), then, was the object of considerable suspicion, not least to those international conglomerates to whose investments it posed a threat. In Britain in the 1980s, to propose naming a street after Mandela was a sure sign that you were a member of the ‘Loony Left’. He never renounced violence. He would have been let out of prison earlier had he done so. This is not to say that he believed violence offered a solution to South Africa’s problems. As he recalled in an interview in 2001 ‘When I was told, “You’ll be released as soon as you renounce violence,” I said, “You started violence – our violence is a defense. The methods of political action that oppressed people use are determined by the oppressor.” And I didn’t want to leave jail under conditions.’ Hence Margaret Thatcher’s 1987 description of the ANC as ‘a typical terrorist organisation’. And the USA did not get around to removing him from its terrorist watch list until 2008. He was part of a wider struggle. When Mandela went into prison, Britain still had an empire — albeit one in the rapid process of being dismantled — as part of a wider process of European decolonization. Britain’s relationship with South Africa (which left the Commonwealth in 1961) was certainly problematic, but some other issues were arguably more pressing. 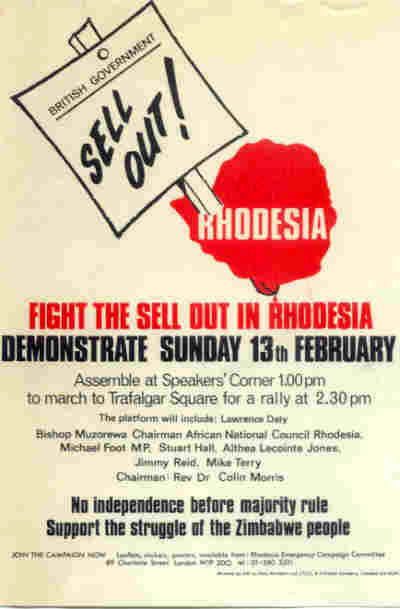 For many years, for example, the Rhodesian question was a bigger headache for British politicians; at the same time we should not forget that, when it was finally resolved with Zimbabwean independence in 1980, Robert Mugabe was regarded by many as a hero for his success in bringing oppressive white rule to an end. With so much going on it is understandable that Mandela’s case did not always receive the attention that it undoubtedly deserved, in spite of the best efforts of the AAM and other pressure groups. To understand Mandela fully, then, we must comprehend the times within which he lived. We will not do his memory justice unless we appreciate the strains and stresses under which he and his supporters operated. Nor, indeed, will we live up to his legacy unless we try to understand the motivations of his jailers and his opponents.